Developing action gear for active lifestyles has been our business since 1996. 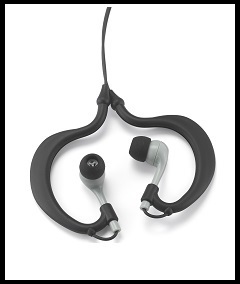 This Triple-Axis action earphones provide enhanced audio experience for all fitness/outdoor activities plus a stable & comfortable over-the-ear mounting and speaker positioning system rotating around 3 axis for ideal fit. With its nickel plated 3.5mm jack system,it isthe perfect accessory to be used with all audio devices. The Triple-Axis Action earphones provide superb sound quality, extended bass range, a state-of-the-art 10mm Neodymium driver, and three sets of comfortable silicon ear-tips in various sizes. Certified to 10FT (3M) underwater. 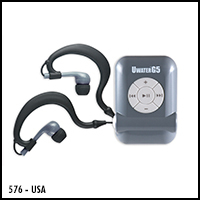 Since 1996,our Waterproof Audio Technologies (WAT) and our Uwater brand were featured in the New York Times, LA Times, Men's Health (Europe), Swim World, Fitness Swimmer, Triathlete Magazine, CNET, as well as many other publications (see "Uwater in the media"). Also endorsed by the US National Sporting Goods Association. Designed in the USA. Patent Pending. This product is a perfect gift for active lifestyles. Take 33% off right now!!. Order TODAY and you also get our new Uwater Protective Hard Case - a $15 value - absolutely FREE! 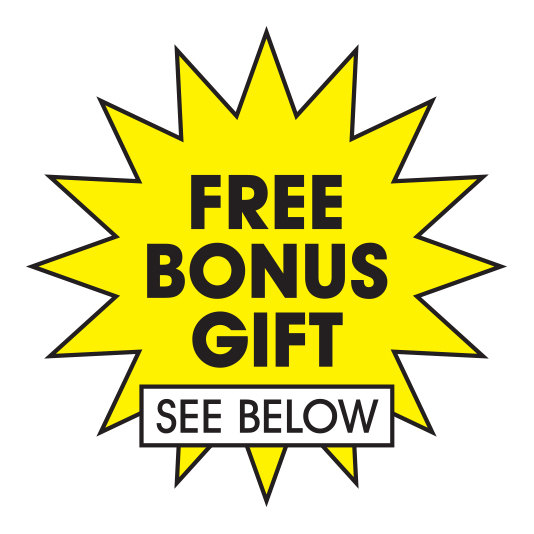 Simply add this set of Action Earphones to Shopping Cart and your FREE BONUS GIFT will be automatically added with no added S&H cost! Surprise your family, friends. This product makes a great gift as well. Act now! Idea Speaker adjustment around 3 axis. Beware of cheap imitations. They won't last beyond your first lap. Since 1996 our engineers have invested years of R&D on improving Waterproof Audio Technologies (WAT), optimizing in-the-water audio reception, tuning and controls. 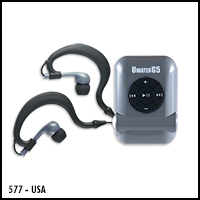 Make sure that your waterproof audio gear is one of our trademarked brands.